Just looking at this print with the happy colors and animals makes me smile and lifts my mood. This print happens to be for a child's nursery and I have always loved children's book illustrations. 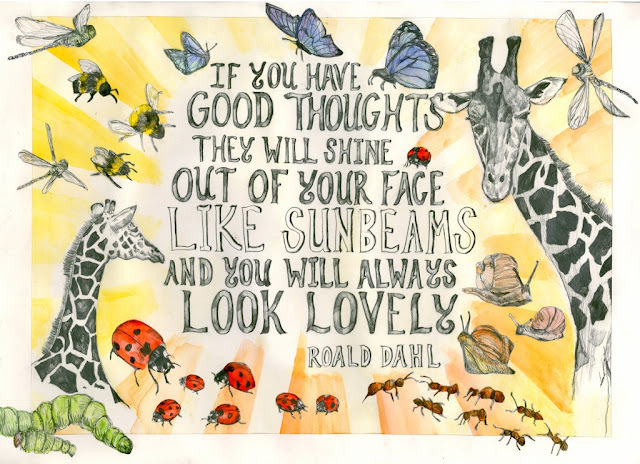 And, who doesn't love Roald Dahl? I feel like I'm 8 years old when I look at this again. Lovely! Happy thoughts for a happy Monday! This is a digital print from Heather Bear Designs on Etsy.